Tea Tree Oil is an essential oil extracted from the Melaleuca tree that grows in Australia. It has demonstrated anti-microbial properties that make it a great weapon in the naturophile’s cleaning and home health care arsenal. It has a very strong, medicinal odor, and can be used sparingly for a desired effect. Some have recommended using a solution of tea tree oil and water to kill mold and mildew. But does this work? Can tea tree oil be an effective natural tool against mold and mildew? Lucky for me, I had just pinned a post from one of my favorite blogs about Tips for Treating Household Mold and Mildew Naturally. Besides offering some tips for preventing mold, the author offered a handful of natural solutions to handling mold once it shows up. The number one, most effective, natural solution offered was tea tree oil: 1 teaspoon of this essential oil plus 1 cup of water was recommended. You combine, shake well, and apply to the affected spot. The post included specific instructions to not rinse once applied. I gave the mildewy spot a good soaking before bed, and let it sit, with no rinsing. The next morning, when I took my shower, I checked on the spot and it looked exactly the same. No change at all. I’m not sure what I expected with the no-rinsing bit, but I couldn’t tell that any damage had been done to the moldy spot at all. Thinking maybe it worked better if the mold was damp, I gave it another good spritzing after my shower and let it sit all day long. At the end of the day again there was no visible change in the spot. Not to be outdone by a stubborn spot of mold, I carefully q-tipped a few drops of 100% pure tea tree oil onto the spot. I noticed a little bit of the blackness started to run with the drips of oil. I did not rinse off, but again checked on it later that day. Again: No visible change. Now, maybe the tea tree oil did indeed kill the mold. Unfortunately, as it looked exactly the same, I have no way of knowing if it did or not. Also, it did not remove the mold in any way. So even if it’s dead I still needed to clean it off the wall. Knowing that vinegar is a great tool against mold and mildew, I got out my handy spray bottle of vinegar and did a quick wipe down of the wall and also of another mildewy corner in the tub. Here’s the really disappointing thing: the mildew treated with tea tree oil was harder to remove than the spot that had not been treated. Significantly harder. Like a scrub vs. a quick wipe harder. So, to sum up: It is impossible to tell if the tea tree oil actually kills the mold. The tea tree oil application does not remove the mold. And removing the mold after tea tree oil application is harder than if you didn’t treat it at all. This, my friends, was a Green Idea Fail. Have you tried out this method with different results? Do you have other favorite uses for tea tree oil? This entry was posted in Cleaning and tagged better for the earth, cleaning, essential oil, Green Idea Fail, mold and mildew, tea tree oil. Bookmark the permalink. 115 Responses to Kill Mold and Mildew with Tea Tree Oil Review – Does it Work? I recommend using oil of clove instead of tea tree oil. You use 1/4 teaspoon of clove oil in 1 litre of water. I spray it around my bathroom sink drains, along crevices that are prone to mold and the inside of my window ledges after cleaning them (I only started doing this a few months ago). Oil of clove is supposed to kill and prevent the mold from growing. I don’t actually use it to clean the sink, just spray it afterwards, although I’ve heard others use it to clean it as well. Although mold still grows back, I have found that it is much slower at returning. I’m confident that continued regular use will continue to lengthen the time frame before it returns. Thanks for the tips, Carol. I’ve never used clove oil before. If you use the right grade of Tea Tree oil I am positive you will see better results. 100% Melaleuca Alternifolia top gradeTea Tree from Australia is the best in the world. Even diluted this oil will kill the mould and stop it’s development. It isn’t a ‘cleaner’. For that use Clove oil, or Bicarb with Vinegar or go chemical (ammonia) if desperate. My wife and I read lots of reviews and tried Tea Tree Oil on a super moldy floor which had been saturated with rain for about 3 months. I had to rip out most of the flooring and the stench of mold was strong. I sprayed bleach water on the lesser contaminated wood and it did quite well for removing the mold and odor however we heard the mold would probably come back as the bleach water doesn’t leech into the wood and then the bleach evaporates and back comes the mold. So we sprayed a strong solution of TTO and it’s been 9 months now with no sign of new mold or the odor and the floor looks great. Hello Bleach Is not so good for environment or even on clothing as next time you wash them they tend to smell again. I had better luck with sodium percarbonate which is even recommended to clean wood deck to get inside and kill the mold spors. And it’s better for nature. how “strong” of tto did you use? I like to just blast it all away with my 12 gauge shotgun that way there’s nothing left to clean up or maintain. We had a problem with our Coca Bean Shell mulch molding. Sprayed it with a mixture of 1 t PediFix FungaSoap Cleansing Wash and 1 c Water. Next day the smell and mold were gone. Having a very rainy hot summer in Chicago and no return of the mold or smell. Our church’s basement is painted cement block. Have had a recurring water problem with accompanying mold and mildew. Will be testing out removal solutions in our churches basement with the proper breathing apparatus and eye protection. Will post the results on what worked. Can send pictures if someone can post them. We have the same problem with our church basement. Let me know if this worked for you. I like the white vinegar approach best. I have made some of the vinegar/orange cleaner that you suggested, and spray that on straight. wipe down after 5 min and rinse, then a light application again with no rinse. about 2X per month. And do you find you get no mold growth, or does it just come back more slowly? Interesting. I know that tea tree oil is usually great for fungus so it’s interesting that it didn’t affect mildew. Definitely good to know for the future! Either you didn’t use enough, or you’re using a cheap, crappy kind of tea tree. There’s no way it CAN’T work if it’s the correct kind. So what type do you use and how Rachael ? You have to use good quality tree oil that says it comes from melaleuca alternifolia. It will cost a little more but this is true tea tree oil. It’s also recommended that you make sure it says active ingredients “terpinen 4-ol and cineole (no less than 30% terpinen 4-ol – And no more than 10/15% cineole). Many says Thursday Plantation Tea tree oil is top notch. Interesting! I usually use vinegar as a soak then scrub away with baking soda and elbow grease! 🙂 I hate moldy mildew growing in the corners of my tub 😛 Thanks for linking up again!!! Sounds like i will try this and then use thecTTO as a preventative measure! Good info to know…I’ve read about this method but never tried it. Felt like I should try it! But now I’m glad that I didn’t! Thanks so much for sharing with Wednesdays Adorned From Above Link Party. This is great. 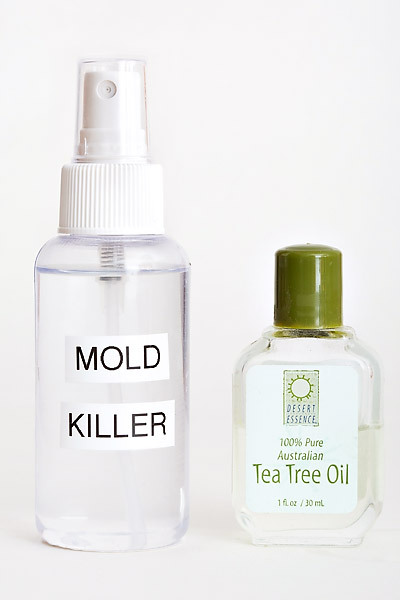 I didn’t think about using tea tree oil to remove mold, but I’m not going to try it if we don’t know if it works. I will stick with vinegar. I feel your pain! 🙂 I, too, went out and bought Tea Tree Oil, and tried it on the mold in my bathroom (living in Florida is a great environment for the growth of mold!) and nothing. Tea Tree Oil is not the best smelling stuff either (LOL) I continue in my never-ending search for the a sure-fire natural remedy. sigh…. Thanks Jeanette for this confirmation. I was afraid I might be doing something wrong! There is Hospital strength Lysol in bottle that is concentrated. It says 1 bottle mixed with water will make 9 gallons cleaner. I made with 1/3 lysol to 2/3 water. Killed black mold, wiped it down and sprayed and left to dry. It’s been years with no return. I had someone clean a bathroom but he did it his way with bleach and wipe down and then spray with lysol and scrub….it burnt his lungs from bleach and mold came back. It will be done with lysol only this time. Ed, can I use it on wood? What is a good way to wipe off on ceiling in basement? I tried it in my cloth diapers and it caused irritation on my babies’ bottoms. Ouch! Tea Tree Oil is so strong that you need to be carfeul about how much is applied to the skin. Yes I agree. 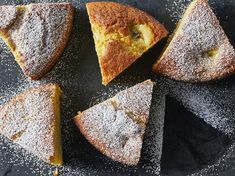 It works well on materials that can absorb it and be left to air dry. The strong smell dissipates after the item have been dry a while. I spray a tea tree oil-water solution on my camping tent, sleeping bag etc every spring and fall to treat/prevent mold and mildew. Works very well for that. I am applying the tea tree oil and water to mold because it’s more important for me to kill the mold than to clean. I say that because I will be removing the drywall (Not dry anymore!) to have the plumbing repaired that caused the water/mold in the first place. You don’t want mold spores floating around in the air because it will make you sick if you disturb it….that’s what I think…Any opinions on what I’m doing? I hope I’m right – I’ll be wearing a mask, gloves and goggles while doing this. Do NOT use this on or near a baby or animals… It is extremely strong. Hi Nicole, the tea tree oil didn’t work, but have you tried vinegar? You can read here about how it worked for me! How disappointing!! I usually scrub off the mildew and then soak the area with vinegar. My favorite use for tea tree oil is killing toenail fungus. Apply it straight, twice a day, with a cotton swab, all over the affected nail(s) and surrounding cuticle and also on adjacent toes. If starting with pretty serious fungus, add a first step of filing off as much of it as you possibly can (don’t remove so much nail that you draw blood!) with a DISPOSABLE emery board, over the bathtub, then throw away the emery board and wash the powdered fungus down the drain, before beginning the tea tree oil treatment. It works really well. oooh – great tip. If I had know this several years agao, I may not have had to get my big toenail removed twice! Sounds like the tea tree oil was too diluted. I’ve heard 1 part tea tree oil to 1 part water. It would be interesting to see if that would work better or not. I’m confused as to what you were expecting from the TTO. Did you think it would disappear? Killing something is not the same as removing it. I’m not sure of any remedy, natural or chemical that will do both without you actually washing the residue away! Even if you’d sprayed it down with bleach, you would still need to wipe the area to remove the dead mold (you might not be able to see it since it would be bleached – but it’s still there). I would think your best bet would be to clean the area (using vinegar or soda or homemade “soft scrub”) and THEN spray it down to kill any spores you missed. Then a regular spray down of the area to prevent mold from growing would do the trick. I can’t imagine TTO NOT killing the mold (assuming it’s not too diluted), but just like a mouse in a trap – it may be dead but the remains aren’t going anywhere till YOU remove them! Our rental bathroom has very poor air flow as well our entire ceiling gets covered in mold. I mixed up 1 cup of tea tree oil and 1 tsp of tea tree oil and sprayed it across my ceiling. It does say do not rinse but it does not say do no wipe. The reason it says do not rinse is so the oil can continue to kill the mold and help prevent future mold. I let the mixture sit for 30 seconds or so and wiped it with a dry cloth. The mold came off easily except for a few problem areas needed a little more scrubbing. Letting it sit overnight is probably the reason why it was so hard to scrub off the mixture and dead mold dried to your wall. I found it relatively effortless and I have plenty of oil left to do it many more times. I would say the smell is more of a pine smell (better then the smell of bleach). The tea tree oil was not meant for mildew just mold that is why it did not work on your mildew. How do you mix one cup of tea tree oil with one tsp of tea tree oil? Do you shake it to make it blend? Or do you just rely on having a slightly larger amount of the oil? I think this person meant 1 cup of water and 1 tsp of TTO. According to other websites/blogs that is what is used. Jess i agree and will use again the 1 teaspoon of TTO per 1 cup of water and spray then wait a bit and wipe off. I’m using tea tree oil. I made a website and I’m taking a picture of my toes every week to show people whether it works or not (hopefully it does). It’s at http://teatreefornailfungus.com, and its non-commercial. It’s only been 3 weeks so far so there isn’t much change yet. Good luck John. I would be interested in seeing if this works…my Hubby has nail fungus BAD, but we can’t afford the pharmaceuticals. What a cool idea for a site – best of luck! I had a toenail fungus once and the expensive (and liver damaging pharmaceuticals) didn’t work. I had to have the nail completely removed, then treat with an antifungal cream for months while the nail grew back. I hope the tea tree oil works for you! Neem oil is superior. If I notice athletes foot coming I use neem oil and it’s gone in 1day even work for jock itch. But in humid areas it will not heal as fast as it needs to be dry I used neem oil in Thailand but it did not heal so fast due to humidity maybe should have air dried or dry completely with a hair drier. The smell is unpleasant but I guess can be masked with essential oil mixed in it. Something else I can vouch for is FUNGOSOL talk powder I bought in Spain just use inside socks and shoes and Athletes feet in will be destroyed and not come back. Before I was using these creams and infection came back 3-4 times a year but after fungoral it stopped. Then I discovered neem oil 10 years later. Fungotal will stop new athletes foot in few days and if you notice it before it breaks out it will never real out if you apply for few days. Now the powder is called funsol they even have a foot spray I saw now. I used neem oil on my small tree that had an infection (I can’t remember what). Neem oil was recommended and I got it at my local garden supply. You are not supposed to rinse because that reapplies moisture which will result in more mold growth. Wipe, not rinse. Good plan! Makes sense to me! Tea tree oil is very effective in killing mold. You however, are not very effective in applying it. First you clean the mold stains with vinegar. Then you apply (spray) the TTO water and let it work. Because it is an OIL it will be effective as it will stick to the wall like glue. That is also the reason why you had a hard time removing the stains. It’s success rate should be measured on how long it takes before the visible stains reappear and not by waiting for the stains to somehow magically disappear. Thanks for the tips! I may have to try this one out again! Makes sense to me I’ll do that! Actually I was using a mixture of equal parts white vinegar and “Simple Dawn” not the ultra Dawn dish detergent to spray in your walls, Then let sit a little bit and then rinse off first! I did discover that the mold black color was gone after this when you wash it off to rinse. Then I’ll apply spray on the TTO mix as a treatment for prevention. TTO keeps mold away from a spot that was previously prone to mold. It has not bleaching effect, which is what you are waiting for to happen. TTO kills fungus and does a good job at it. Secondly, porous grout is prone to mold. If you apply this on the grout, the surface becomes very resistant to a continued mold/fungal attack. My process is a little different than yours and have had excellent results that bleach alone could never fix or even vinegar. I apply 60% TTO to the mold area. Ensure that it is completely covering it and a little more around to ensure no spores nearby will come haunt again. Leave it for about 1 hour to ensue that it gets to the fungus/mold as much as possible. Usually, the mold loses it strong color that I use as an indication for killing. Then I clean the surface with bleach solution (1 part bleach, 2 parts water). I clean the spot thoroughly. If bleach will discolor the surface then I will use vinegar solution (1 part 5% white vinegar with 2 parts water) to clean the surface. If the surface is porous, I will then dab it with TTO if I know that it will not leave a visible stain for future proofing. Best to do for grout between tiles and that is it. Thanks Jenna. I may have to try this one again! You mention dabbing porous surfaces with the TTO after the initial cleaning with 60% TTO solution, followed by bleach/vinegar cleaning. Are you dabbing on a full concentration of oil (i.e. 100%) at that point or dabbing on the 60% solution again (after the bleach/vinegar cleaning)? I want to second Jenna’s post. I’m allergic to mold and I have a summer cottage on a lake, so mold-control is a constant battle! I have tried everything, and Tea Tree oil is definitely my favorite tool in the anti-mold arsenal. I have used it on walls, furniture and clothing with spectacular success; It definitely kills the mold, and eradicates the mold smell. However, it does NOT remove mold stains. Seconding those who say TTO does work, I have a front-loading washing machine that has problem trapping water in the door gasket so mold grows around the door. One spray with TTO and it hasn’t had mold in months. The original mold is still there (I didn’t try to scrub it off) but faded (dead I presume) but no more grows (and no smell) even though the washer door gasket is getting wet multiple times per week. Pretty sure this is a strong testament for both efficacy in killing and in preventing future mold growth. We had the same problem. Depending on the washer, there was a recall to replace the doors. We cleaned the gasket with a mold/mildew remover. Then treated it with PediFix FungaSoap Cleansing Wash and rubbing on the gasket. We now leave the door open on the washer and have not had any return of mold or mildew. Most people are use to the whitening effect of bleach, so the stain left behind after a tea tree oil treatment can be frustrating. Tea tree oil will kill the mildew and mold, but it will not bleach it out. Even if you use bleach to kill the mildew, you should wash it down afterwards or else the dead spores or whatever the bleach killed is still sitting on the surface. If someone does not want to leave the moldy site as it is, after spraying with Tea Tree oil solution, then they should wipe away the mold, rather than rinsing. They don’t want to remove the tea tree oil, which prevents future mold!! It sounds like an excellent solution would be to dampen a cloth with vinegar, wipe away the visible mold on the surface, and THEN spray on the tea tree solution. If it’s done on a porous surface like wood, clothing, sheetrock, etc, the water will be absorbed/evaporate, and the oil will remain on the surface (and inside the wood etc, where it was carried by the water)!! I am a restoration technician with 5 years of mold remediation experience, and multiple CleanTrust certifications.. you need to understand that TTO kills the mold and prevents it through a remaining residue. if you want to remove the visual stains or surface spores and kill the mold and prevent it from returning, the proper procedure would be as follows. for most materials you would use a cleaning soution. this can be anything you want to use. the key is to NOT saturate the material you are cleaning. scrub thuroughly and remove all visible signs of the mold, wipe/dab dry. When DRY ay the 8 parts 10 parts TTO 1 parts water solution to all cleaned areas allow to penetrate and dry DO NOT WIPE OR RINSE. Note that this will not prevent all mold growth. the main control factors are to keep the actual humidity (or GPP) below 50 and the temp below 72 in order to prevent a inhabitable and sustaining enviroment for the mold spores to grow. In addition air circulation plays a BIG part in preventing mold gowth. In the aforementioned environment, areas without air flow will produce visible mold days before areas that are without a lack of proper ventilation/circulation. Jakob, you seem to pretty knowledgeable about TTO. Do you have any suggestions on how much I should add to a dog water bed? It is about 42″ x 30″ and has a sponge the same size inside of it and it can hold about 8 gallons of water. After emptying the water out, I didn’t store it properly and mold has grown inside and it also appears slightly on the outside. The company recommends using TTO or grapefruit seed extract oil to kill the mold, but they weren’t sure how much to use. I don’t want to fill the bed all the way since I am traveling to Florida and bringing it with me. I plan on filling it with 3 to 4 gallons, but have no idea if I should add 1 teaspoon or numerous tablespoons. I’m also not sure if anything will get rid of the mold stains that are visible on the outside. If you can be of any help with these 2 issues I would greatly appreciate it! Thanks! I’d question the quality of the tea tree oil you used rather than the recipe. Many “tea tree” oils have low quality tree oil or have it diluted with a carrier oil. And either of these situations would make your efforts to kill mold or mildew predictably futile. I find real tea tree oil (i.e. Treemenda or Thursday Plantation) extremely effective for many issues, but I would never ever use the brand you displayed. Unlike other oils, real tea tree oil is strong enough to etch plastic and melt the ink on plastic shopping bags. Also, the website I referenced (http://www.howtoremoveblackmold.com/how-to-kill-black-mold.html), states that you need to verify that your tea tree oil: 1) is made from melaleuca alternifolia, and 2) has no less than 30% terpinen 4-ol and no more than 15% cineole. Before you slam something and redirect people away from a product that has a long history of being powerfully beneficial, please make sure that you do your research, even if it is just doing a Google on the product or visiting your health food store. Please do not underestimate the reach of your page. You can do a lot of people a big favour by redoing your experiment with real tea tree oil and updating your page accordingly. Tara- Yes I agree! I almost decided not to try TTO after reading her post…If I had not kept reading the rest of the posts, I would never have tried TTO. TTO was a perfect solution to our horrible mold and mildew problems. Please never stop with one opinion, read read read! Thanks again for your advice Tara! i just now trayed the tea tree oil oh my it worked great!!! It is important to wipe your shower/tub down after each use so the surface is dry and keeping a low temperature in bathroom under 72 degrees also prevents mold & mildew. ABC interviewed a university mold expert – he said 80% vinegar or an alcohol solution are best to kill mould. Bleach gets rid of the black colour without killing it. High grade tea tree oil has a high percentage alcohol 60% in the one I have. So is it the oil or the alcohol that works??? I used teatree oil over 2 1/2 years ago on my wood window frames (some were infested with mold!) I sprayed the solution let it sit about 1/2 hour or so, while also noticing the difference in color with the mold. I then wiped the surfaces down and most of it came off. The only spots left were where the mold was so bad it actually started to peel the varnish off. After wiping everything down, I gave it another spray. I have not had to do another treatment since. I am getting ready to do a treatment today but it’s because I’ve been out of the country for 2 years while having someone else live in my house I’m just doing some cleanup and remodeling, I’d rather spray it occasionally then have to kill it and clean it often! I hope this helps you! I have also found a great carpet cleaner that gets ink out of your carpet old or even 4 day old carpet as I found out, if you want the name just let me know! Tea tree oil is very hard to find. I have troubles with it. I removed mold with vinegar. It worked fine. Thank you for sharing your article. Best regards! When spraying Mold with the oils, The Oils kill the Mold but there will be no color change like what bleach does. After spraying the Mold wait about 15 minutes then Scrub it off. It must be removed. Bleach only bleaches out the color to make it look like it is gone yet it is still there. So That is why it is very Important to scrub the mold away after it is dead. Still wear a Mask just incase of any spores going into the air. Spray down that area again with the oils and let it sit after you have cleaned off the mold to prevent it from growing back. The Oils stop Mold from re-growing, that is why after about a week Spray the Tub area at least once to keep mold away. Water and warmth will melt the Oils so they go away after a while. That is why it is recommended to re-spray the Tub area. You can also Mist your Room to kill any spores going into the air. Great tips – thanks Linda! Hey — I was doing a search on clove and cinnamon oils and their ability to inhibit mold growth in wood . . . and so I thought that, while it wasn’t about tea tree oil, some here might find it relevant to mildew prevention/removal. I know this an old post but for anybody reading it I have some advice. First and foremost, spraying any type of solution is absolutely the WRONG thing to do. When you spray mold directly, even if it’s a proper mold-killing solution, you are inadvertently spreading mold spores around the area. The only proper way to apply it is to either pour solution on directly, soak a towel and apply it to mold and let it soak for a bit or rent/buy a fogger . Also vinegar, bleach and other common household cleaned will not fully kill mold and I’ve found that tea tree oil only works somewhat, I mostly use it to help inhibit mold growth on items especially wood ones. Your best bet is to buy professional grade mold killer many which are non toxic like Mold Killer or Vital Oxide. The second thing to do is to remedy where your humidity problems are coming from, you can also use a de-humidifier or for a cheaper solution use a bunch of Damp-rid buckets around your house. As a final tip you can always buy mold testers to see if you have actually killed the mold and if it’s the toxic kind. Good luck! Uh yeah it does work… I use a mix of vinegar & tea Tree 2 wash down the walls and the faint dots of humidity grown mildew is then gone of the dry wall. But yes, u need 2 wipe it away…. applying and letting is sit will kill it but the “body” remains, of course. So…. let it sit a while 2 b sure, then wipe. Or let it sit, Reapply then wipe 2 be EXTRA sure it’s all gone. Does anyone know if you can make a more powerful spray by mixing tea tree and grapefruit seed oil together? or tea tree and vinegar? or all 3? I was thinking the same we mix up a spray bottle with 1/2 tspn baking soda, 1/2 tspn clove oil and fill the rest of the bottle up with 50% white vinegar and 50% water. Was wondering what would happen if we added in the tea tree oil as well? Be great know. Vinegar kills mould because it’s acidic. Baking soda kills mould because it’s alkaline. They each work great on their own but combine them and they’ll just cancel each other out. Sorry for the late reply. Cleaning is something that needs to be done with focus. The more you focus the easier it is to go quickly. I will surely suggest these tips to my wife in order to clean mildew in bathroom. We are preparing for the annual deep cleaning and we want to make a very thorough list of the places we usually forget to clean because this year we want to clean the whole house. But I do not know whether it works for bathroom cleaning also. sorry that the following is not such a green way. Mix bleach and corn starch till paste. Put the paste on the mold area. Leave for 5 minutes. Then rinse. BRAND NEW EFFECT! Some previous posts said it may not kill the mold，mine has worked quite well in a humid bathroom for at least 2 months now. When I get fed up with the mould problem, I mix a solution of 25% bleach & 75% water. I then mask up, spray the effected area & leave it to dry. When it’s dry I mix up another solution of 10% T tree oil & 90% water. The idea being that the bleach spray kills the mould on the surface but does not kill the mould underneath. While the T tree oil soakes further into the nooks & crannies/fibers of the surface you’re trying to treat. The bleach will lighten the mould. The T tree oil won’t! Only scrubbing removes what’s left after treatment. Not all the mold is harmful but there will be some mold which can be harmful to your health. 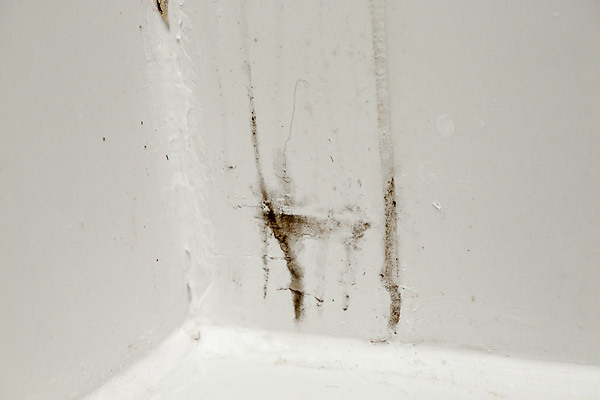 You should remove the source of moisture and repair the leaks if you don’t want mold to reappear again after removal. Interesting! I used a combination of tea tree oil and water on some pretty big patches of mold that were uncovered under old tile. When I sprayed the mold it literally started disappearing in most spots! In other spots it ran down the wall and I was able to wipe it off. It literally disintegrated the mold in my bathroom! So weird how it works in some scenarios and not in others! I wonder what makes the difference! Any one have a good recommendation for killing mold on fabric furniture? I’m not even sure it has mold but it was in the room where mold was found so I want to clean it instead of chucking it. Sadly I fear I may have to do the later. Can I use any of these solutions on my fabric chair? I’m confused as to why you thought the mold or mildew would just disappear without any sort of cleaning afterward.. Were the dead particles suppose to magically disappear and relocate to another location? This DOES work. On walls or ceilings for sure. I have removed mold from one spot in my house many times with bleach, vinegar, etc….with TONS of scrubbing. I had just bought a bottle of the full strength tea tree oil and had just mixed and sprayed it when I came across this post….it had set for a few minutes, I took a cloth, and WOW it just wiped off. 90 percent of it was gone, and I am repeating now. This is a godsend! You don’t need to grab the bleach to get rid of mold, and you can also skip those noxious conventional cleaners in store aisles that claim to remove mold. These cleaners often contain harsh acids and chlorine bleach. “Cleaning” with these chemicals will just release toxins into the air, not to mention the unknown health hazards if those products come into contact with your skin. Instead, kill the mold in your home for good with natural methods. You are supposed to spray it on and leave it for an hour and wipe or scrub the mould off with a cloth or scrubbing brush. Then you reapply the tea tree solution (2 teaspoons to 2 cups water in a spray bottle) and THEN let it dry. It doesn’t magically disappear by itself by just spraying the mould. Tea tree oil definitely does work because a few weeks back I found https://blackmoldfix.com/mold-removal/, where they list various home remedies for mold removal. I did try the tea tree oil method and it worked beautifully. We have a lot of mold issues, living in old mobile home w/single pane windows. Tea tree oil is absolutely effective in killing mold, it’s been over 6 months since I sprayed & scrubbed then sprayed lightly & wiped clean…no recurrence of mold. What is the best way to wipe off hospital strength Lysol on wood in basement ceiling? Killing mold is not the same as removing it. I would recommend scrubbing it away with detergent and water, THEN spraying the tea tree oil solution on the area to PREVENT mold growth. Just because you spray it doesn’t mean it will magically vanish!